I mentioned in my last Flannel Friday post (over a month ago…eeek!) 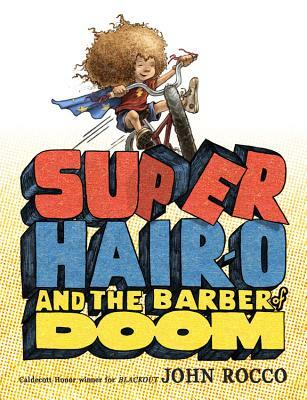 that I was creating this storytime after reading Super Hair-o and the Barber of Doom. It went over pretty well with the preschoolers, so it’s time to share. Rocco, Jon. Super Hair-o and the Barber of Doom. Jon thinks his wild, curly hair is the source of his super powers. But when the barber cuts it all off, what will he do to regain his powers? Klassen, Jon. I Want My Hat Back. Bear goes looking for his hat. Nobody has seen it. Or HAVE they? Game: “Who Wears This Hat?”: I printed out some pictures of various hats (cowboy, hard hat, astronaut helmet, firefighter hat, etc.) and covered with clear contact paper. I held them up and the kids helped me figure out who wears each hat, and what job they do. Agee, Jon. Milo’s Hat Trick. Milo the magician HAS to improve his show with a hat trick. He goes looking for a rabbit, but instead finds a bear with an impressive skill. Lita Judge. The Red Hat. Sort of a wordless picture book – the only words are sounds (but OH WHAT AWESOME SOUNDS!). A bear cub pulls a child’s red hat off a clothesline and begins a game of chase with his animal friends, resulting in the hat unraveling. Stoeke, Janet. A Hat for Minerva Louise. Fox, Lee. Ella Kazoo Will Not Brush Her Hair. I tip my cap to you, storytimers. What are your favorite hat/hair books? What about “Falling For Rapunzel” by Leah Wilcox? It’s a pretty sure bet for making kiddos giggle. Plus, lots of interesting words for ‘hair.” Hooray for rich vocabulary!